Arsenal desperately need to beat Chelsea and get right back in the race for the top four when we welcome our London rivals to the Emirates this evening [5.30pm kick-off]. A terrible Christmas and New Year period has seen our hopes of qualifying for the Champions League next season take a huge hit and last weekend’s 1-0 loss at West Ham was as poor as we’ve played this season. We now sit fifth in the table – level on points with Man Utd and six adrift of Chelsea in fourth – so we need a win this evening to close the gap to just three points and put ourselves right back in the mix. However, defeat would see Chelsea move nine points clear and it would be difficult to see Arsenal overturning that sort of deficit to finish in the top four, so this is a huge game for us. Maurizio Sarri’s side haven’t been in top form lately either, which is encouraging, and they only edged out Newcastle 2-1 at Stamford Bridge last week but they could climb to third with a win at the Emirates today. Arsenal have no fresh injury concerns to worry about heading in to the game and the squad was boosted by the return of Hector Bellerin, Nacho Monreal and Shkodran Mustafi last week. Mesut Ozil is pushing for a recall after being axed from the squad against West Ham. Henrikh Mkhitaryan is expected to return to training next week but for now he’ll remain on the sidelines along with Rob Holding and Danny Welbeck. 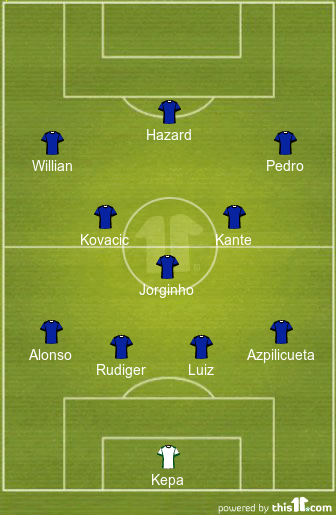 As for Chelsea, they have virtually a fully-fit squad to choose from. Ruben Loftus-Cheek is the only absentee but Alvaro Morata might not be involved amid speculation he’ll leave Chelsea this month. 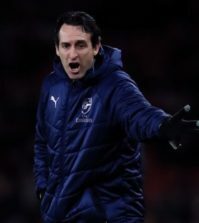 I think it’s time Emery sucked it up and recalled Ozil. 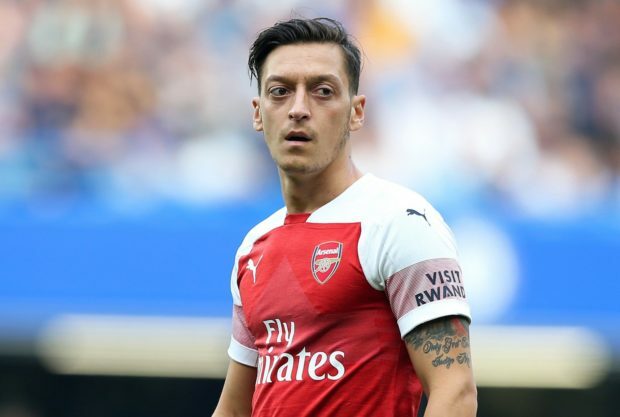 I get that he doesn’t exactly fit in with Emery’s ideal system but it’s hardly working without him as we’ve looked severely lacking in creativity without Mesut this season. Let’s give him the stage to perform on the big occasion. 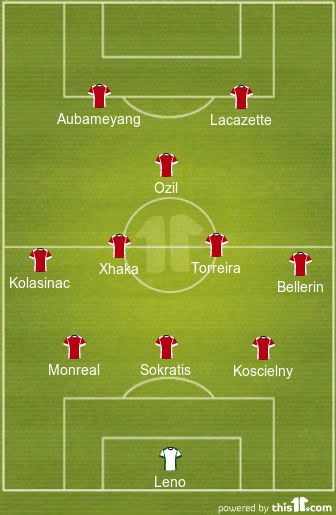 Torreira and Bellerin should be recalled after being named on the bench last weekend while I’d start Monreal in a back three alongside Koscielny and Sokratis to give us some balance at the back. Arsenal HAVE to win this game if we want to compete for the top four but we head in to the game in poor form and Chelsea have had the better of things recently as we’ve won just 1 of our last 14 Premier League meetings with the Blues. However, we’re due a big performance and I think Emery can get the better of Sarri this evening. Let’s be positive, I’m going 2-1 Arsenal. For those who want to bet on Arsenal, we’re available at odds of 13/10 to win this game – which is surprisingly attractive considering we’re at home. Arsenal’s defense has been woeful this season as we’ve kept just 3 clean sheets this season so it’s difficult to see us preventing Chelsea from scoring. However, we have an array of attacking talent ourselves and are strong at home so I think we’ll score at least 1 or 2 goals. Over 2.5 goals looks a solid bet at 4/5 while both teams to score is also tempting at 6/10. My predicted score of 2-1 Arsenal can be backed at odds of 15/2 but if we add Alexandre Lacazette as first scorer in a 2-1 win we get excellent odds of 25/1.